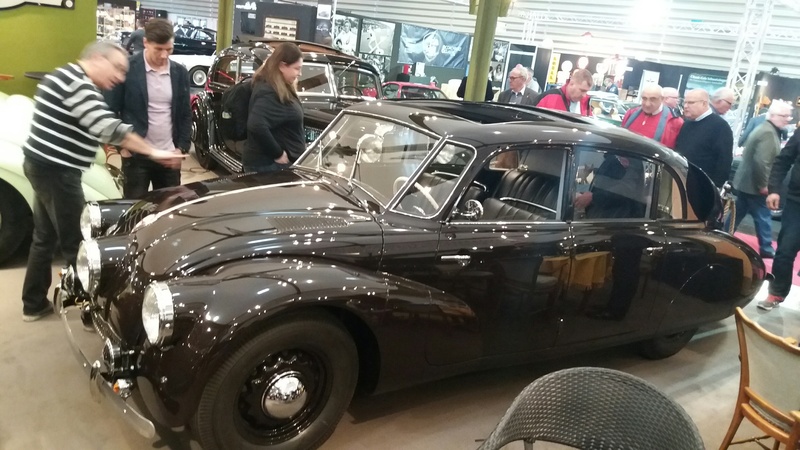 The Tatra Register Deutschland showed the Gail family owned 1937 T57a. 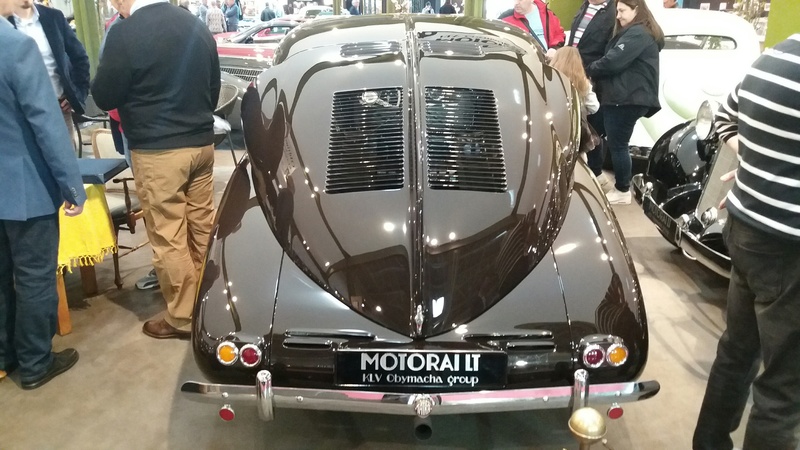 With its bonnet open, it attracted lots of vattention, people asking the stand staff about its peculiar construction. 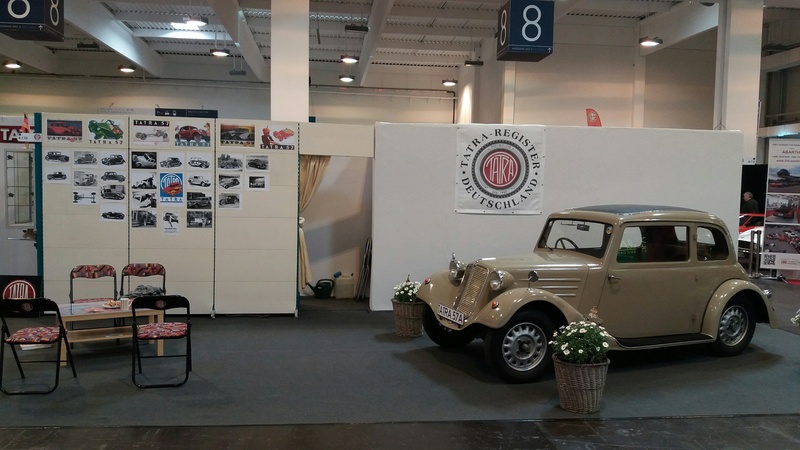 But even more, Tatra owners visited the TRD stand in hall 8 to share experiences and have a drink. 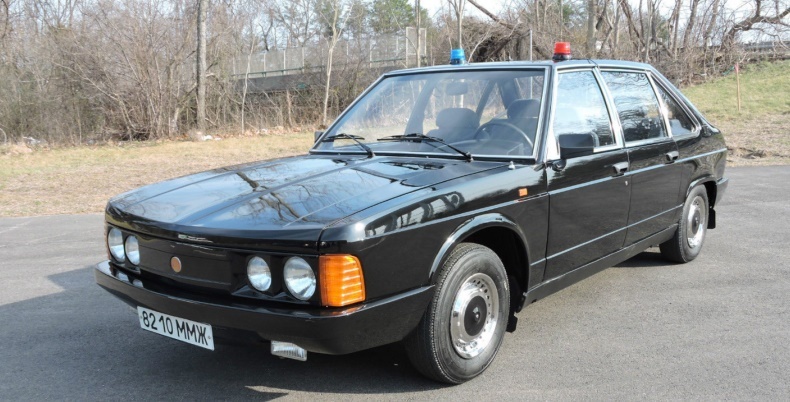 Where the Aaldering T 87 was experienced as expensive, an immaculate Ecorra restored T 87 topped the Aaldering one by another E 110.000 resulting in an asking price of E 340.000. 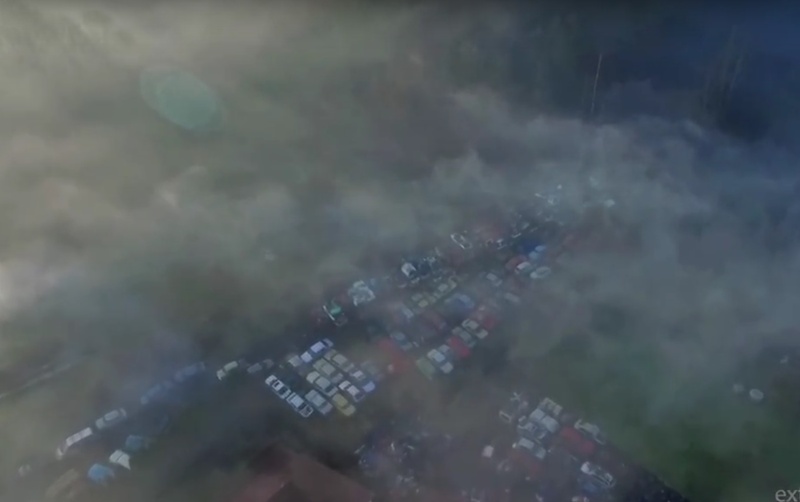 Luckily, most classic car traders at the show, experienced that prices of classic cars are dropping at the moment. 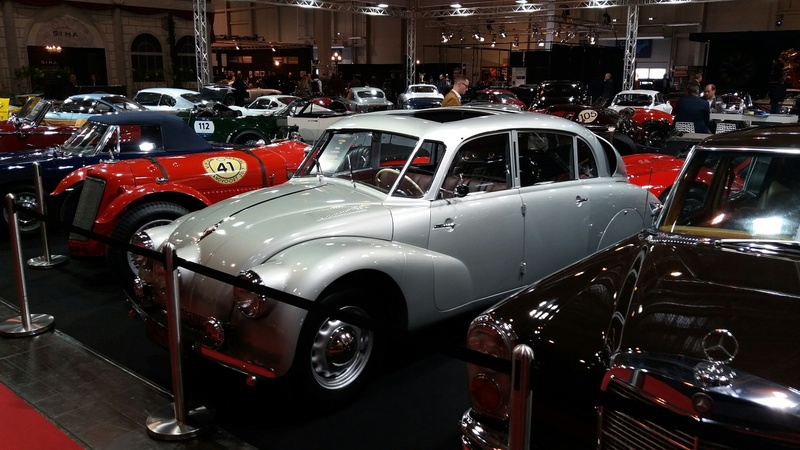 The Schenk family, in the past importer for Tatra in Switzerland, is offering a private 1947 T87. 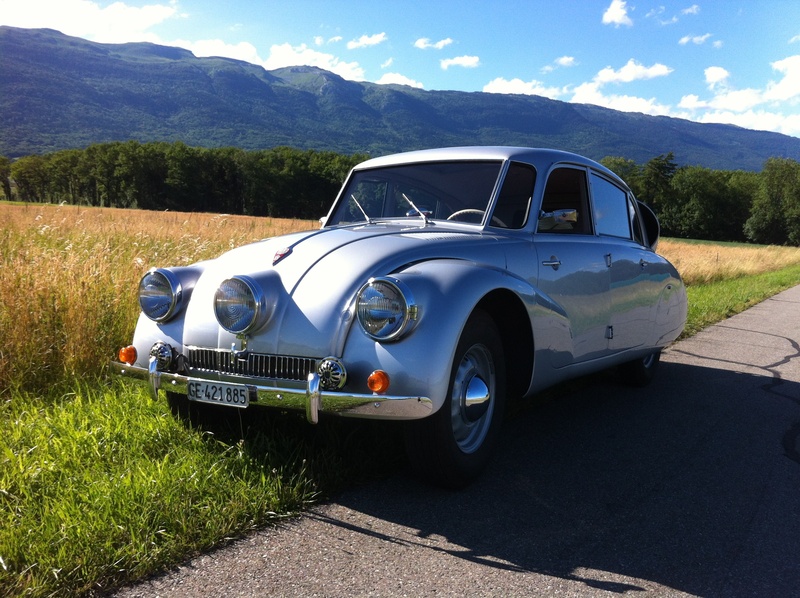 I am willing to sell my Tatra T87. Chassisnr 69141. 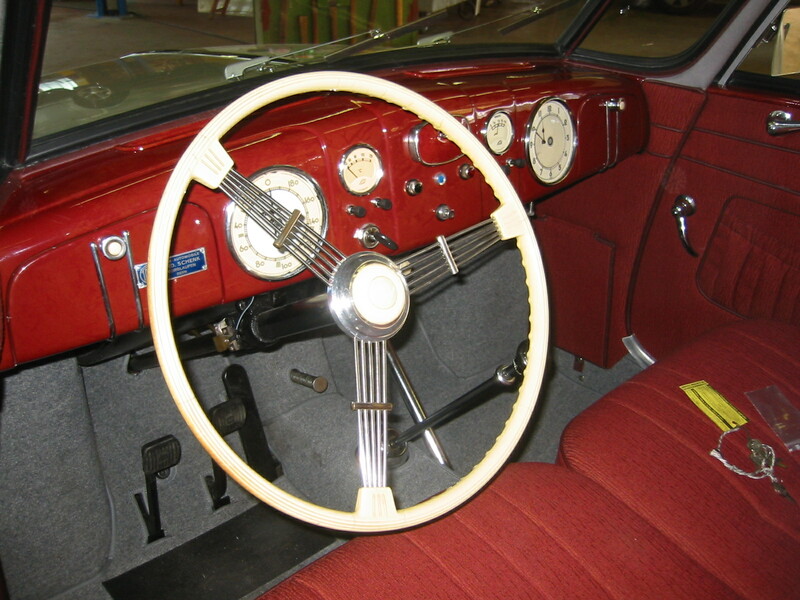 The car was fully restored in 2003. 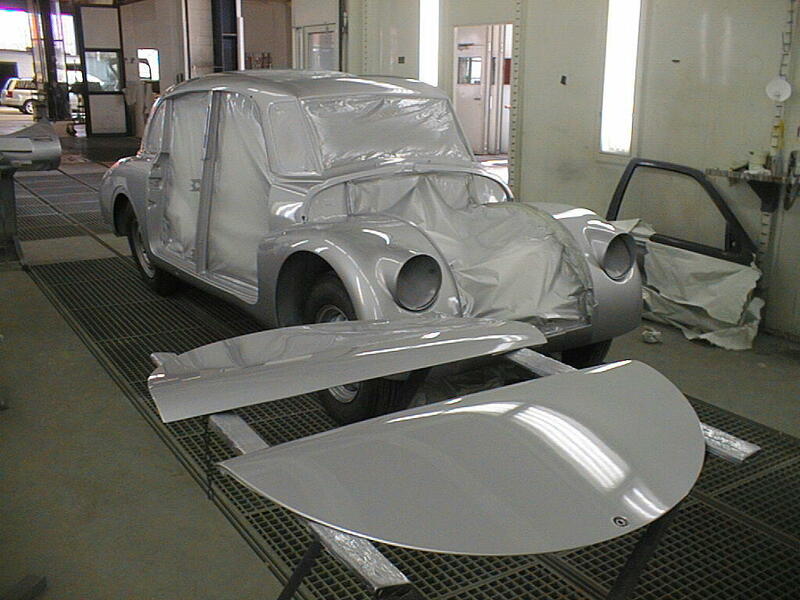 The body work was done by carrosserie Neuenhof/Bern. 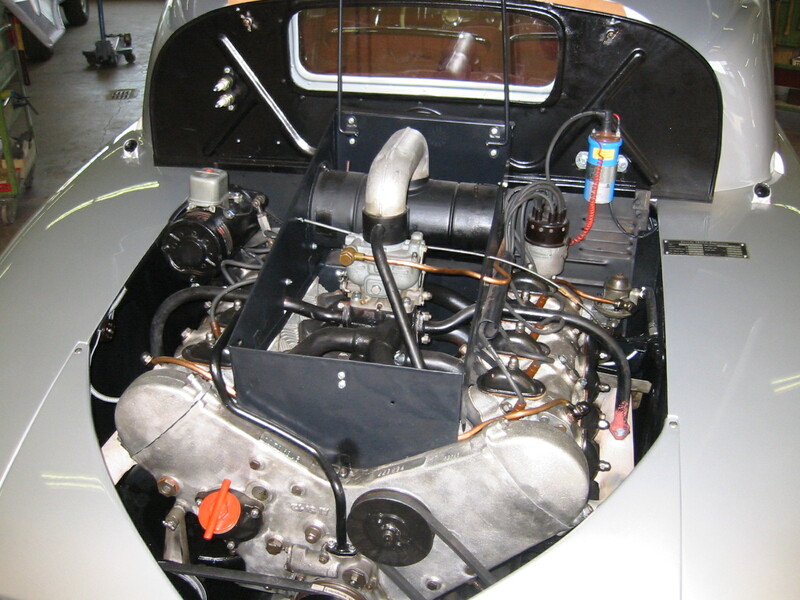 The engine was rebuilt by SIM Motoren/Bern. The overall project rebuild was conducted by René Berger. 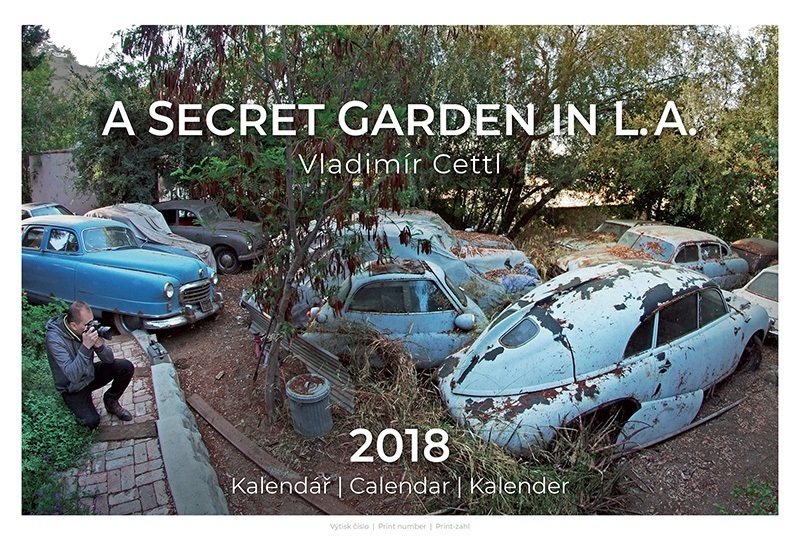 Calendar 2018 – A Secret Garden in L.A. I shot my first series of Tatra wrecks in 2009. On New Year’s Eve, in the final hours of the year, I published the photos online. Due to the nine-hour time difference, I am able to say that in another part of the world, i.e. 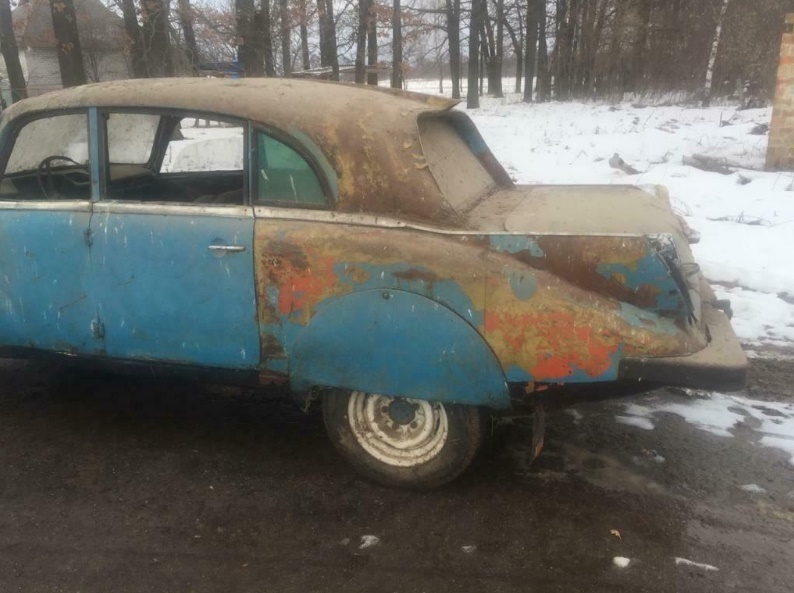 the United States, in the final hours of that same year, an unknown customer got in touch we me wanting to buy a photo of a rusty Tatra for his girlfriend. The customer was Paul Greenstein, his girlfriend Dydia DeLyser. 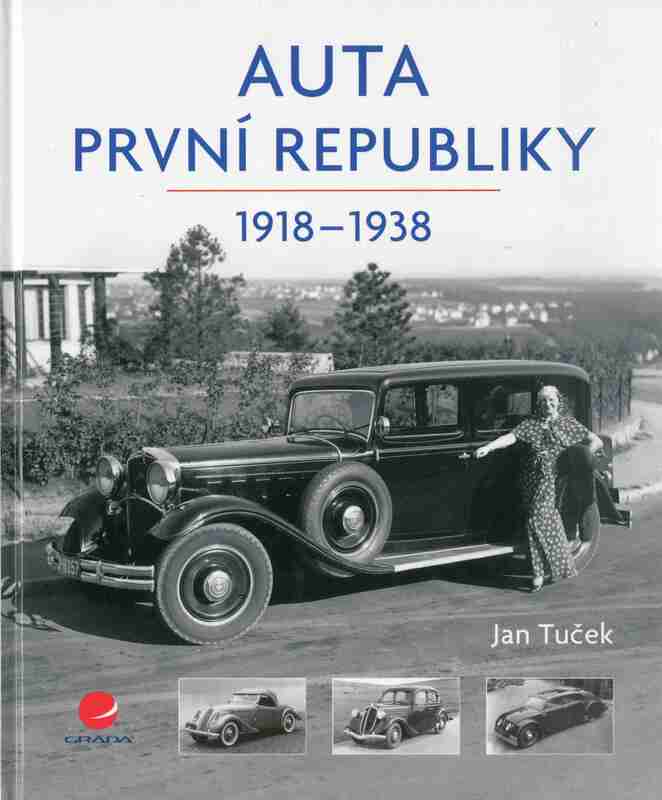 The following year, their Tatra 87 (1941) won 1st place in the prestigious New York Times competition Collectible Car of the Year 2010, while their Nash 690 (1924) was among the top ten finalists. This wonderful couple then visited me in Usti nad Labem in the north of the Czech Republic in January 2011; the world was not so big as to prevent us from meeting. As the years passed, we kept in touch. 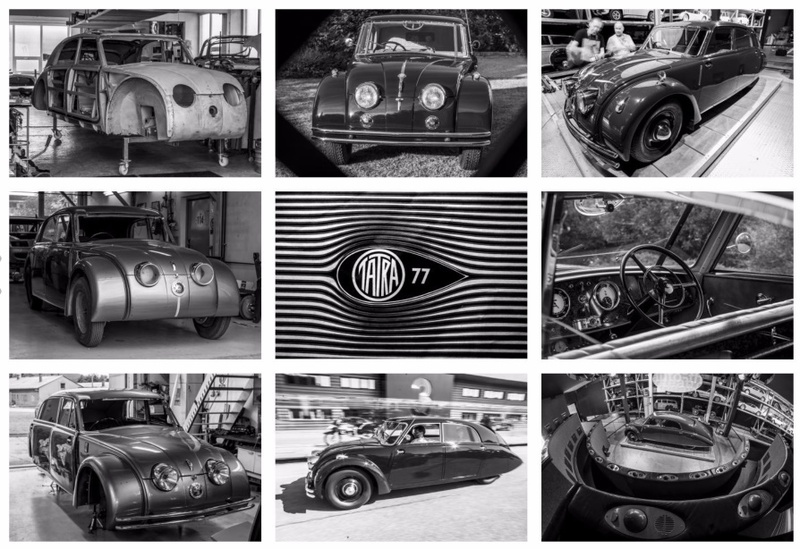 I now consider it fate that I travelled all the way to Paul and Dydia’s home in Los Angeles during my trip to the USA to shoot Tatra 77s in 2017. I was able to stay in the home of these true collectors – a home with a magical interior, just like a miniature museum. They let me photograph their collection of veteran cars, mainly Tatras and Nash cars in their original condition, freely. I don’t think that all our experiences and connections are just a coincidence. On the contrary. Fate wanted us to meet. And now I can show you their world, their garden. Kalender 2018 – Geheimnisvoller Garten in L.A.
Im Jahr 2009 hatte ich die erste Fotoserie der Tatra-Wracks aufgenommen und am Silvester in den letzten Stunden des Jahres auf der Internetseite veröffentlicht. Dank der Zeitverschiebung von neun Stunden kann man sagen, ebenfalls in den letzten Stunden des Jahres auch anderswo auf der Welt, rief mich ein unbekannter Interessent aus Amerika an und wollte ein Foto eines verrosteten Tatraplan für seine Freundin kaufen. Es war Paul Greenstein und seine Freundin Dydia DeLyser. Ein Jahr später, im Jahr 2010, gewann ihr Tatra 87 (1941) in den USA bei einer Umfrage der New York Times – Collectible car of the year 2010 – den 1. Platz. Des weiteren kam ihr Nash 690 (1924) bei dieser Umfrage unter die besten zehn. Im Januar 2011 besuchte mich das fantastische Paar bei mir zu Hause in Ústí nad Labem in Nordböhmen. Die Welt war einfach nicht so groß, dass wir uns nicht treffen konnten. 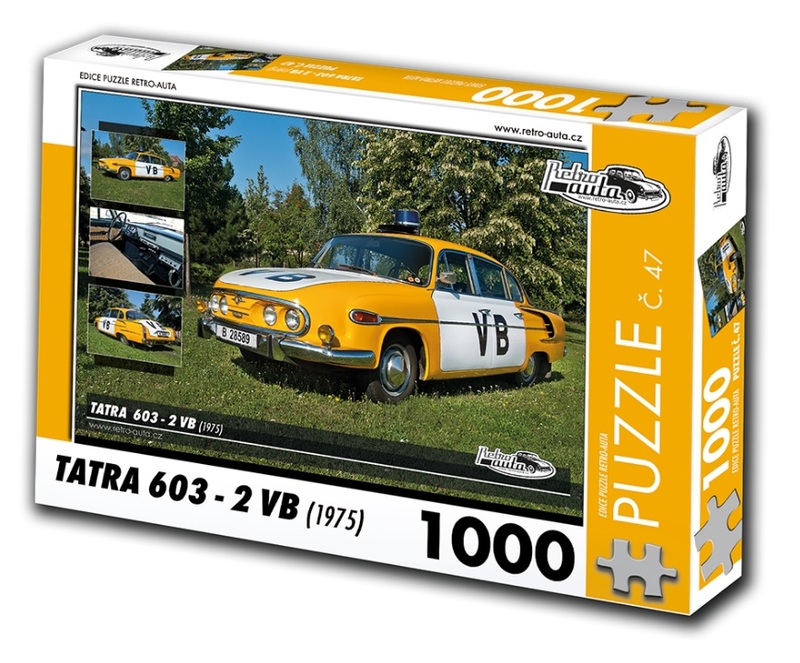 Viele Jahre sind inzwischen wie Wasser verlaufen, wir stehen stets im gelegentlichen Kontakt und ich empfinde es wahrlich schicksalshaft, dass wir im Jahr 2017 während unserer USA-Reise zu den Tatra 77-Fahrzeugen bis zu Paul und Dydia nach Los Angeles fahren konnten. 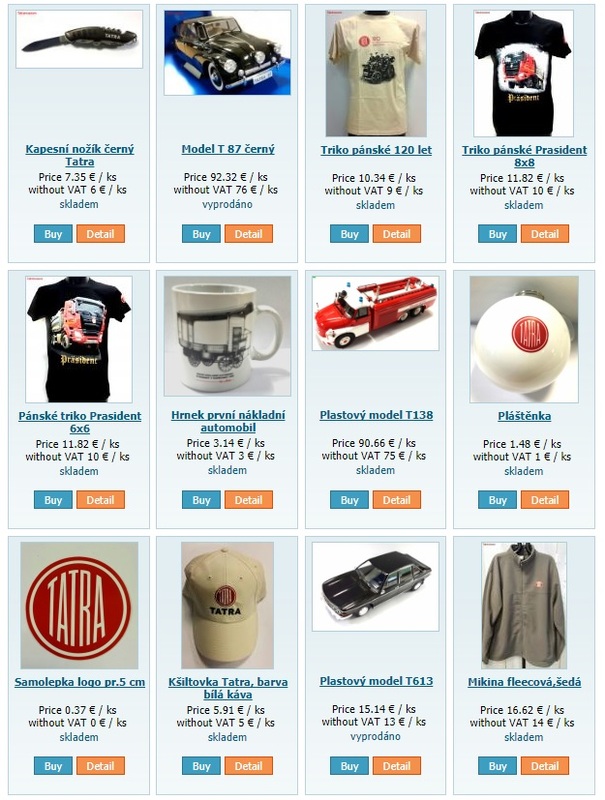 Wir hielten uns im Haus der wirklichen Sammler auf, welches wahrlich wie ein kleines zauberhaftes Museum eingerichtet ist. Wir konnten frei deren Sammlung unrestaurierter Oldtimer fotografieren, vorwiegend der Marke Tatra und Nash. Ich denke mir, dass alles, was mal geschehen ist und uns verbindet, kein Zufall ist, sondern umgekehrt. Das Schicksal hat es einfach gewollt, dass wir uns begegnen und ich kann Sie nun durch deren kleine Welt, durch deren Garten führen. 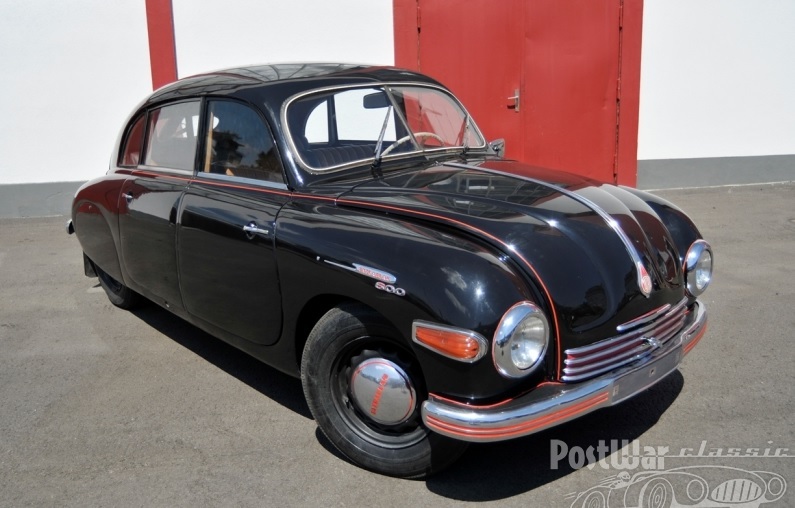 We have a wonderful Tatra T87 year 1946 1.serial for sale. Complete history is known. 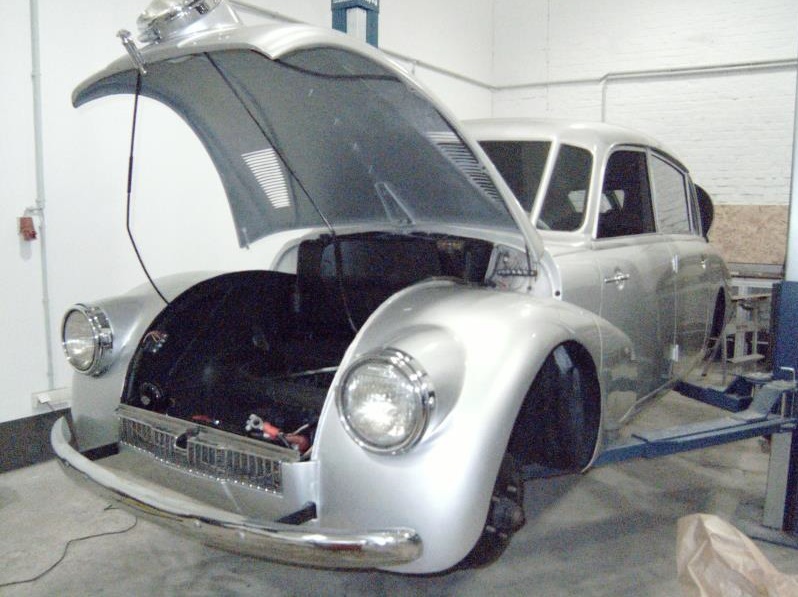 The body is restored in 2017, engine serviced, only some finish works required. 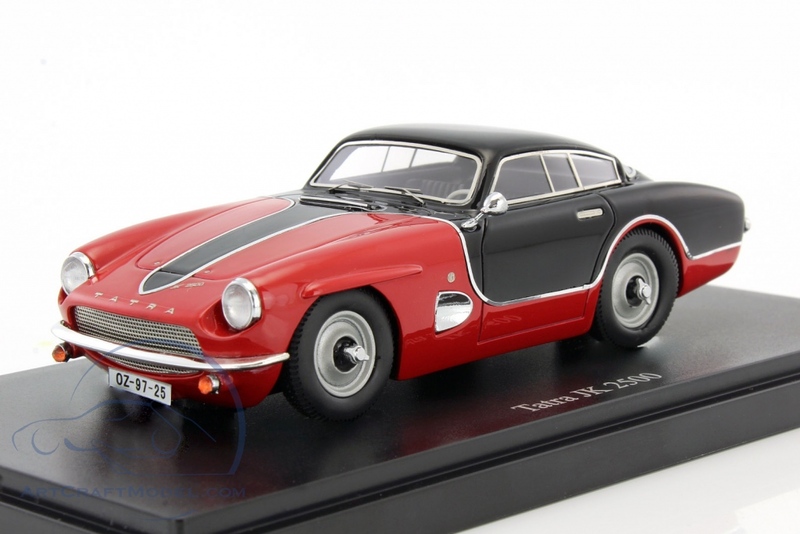 New 2017 Vladimir Cettl calendar + his T 77 project. Videos!